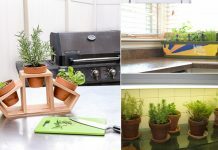 Herbs can be grown indoors, and mint is one of them. 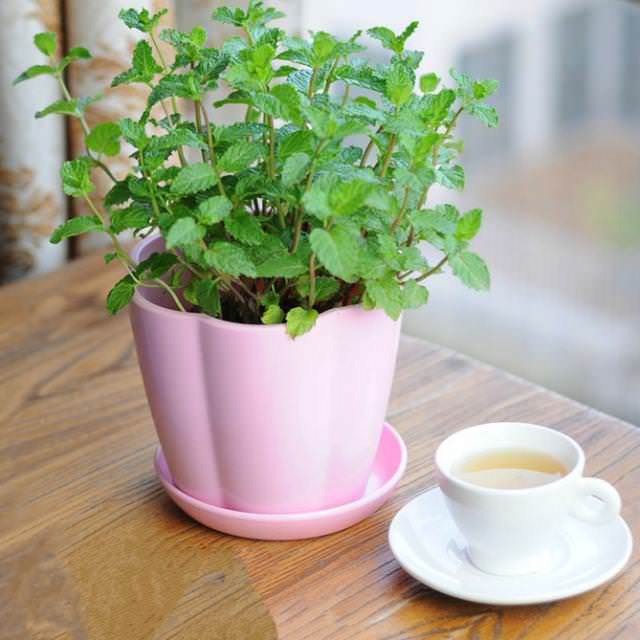 However, mint (or any other herb) growing indoors can’t grow as vigorously as outdoors. Still, you can enjoy those freshly picked leaves year-round, even in winters! 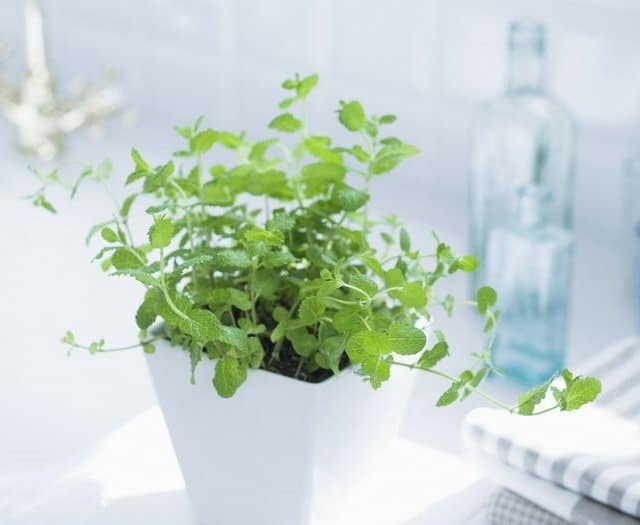 It is also possible, to grow mint in water all you need to do is to take tip cuttings of about 5-6 inches length from an established mint plant. Remove the bottom leaves and place the cuttings in a water-filled glass or bottle. Keep the bottle in a cool spot that is bright and receives indirect light. Keep changing the water every other day. 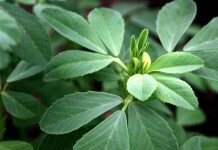 The cutting will develop a few leaves and last for several days. You can either plant it in a container filled with soil or use it. 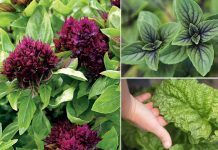 There are a few simple needs you need to care about– use a medium sized pot (2-3 gallon would be fine) when growing mint in containers, a wide planter is good as mint spread through runners, and it’ll give space to plant to cover. Mint can tolerate some shade outside, but it needs a minimum 3-4 hour of direct sunlight to grow well. Choose a location where this can receive that much sun and proper air circulation. Near a window or door, if you can keep it on a windowsill or a balcony, it would be best! Combine 4-6 parts peat moss, 1 part perlite and 1 part vermiculite. If adding nutrients, blend 1/2 cup each bone meal, oyster shell lime (raises pH) and cottonseed meal/canola meal per 8 gallons of potting mix. Follow this basic recipe– Add 1 part peat moss or coco peat, 1 part perlite (sand if you don’t have access to perlite), 1 part compost, 1 part sterile garden soil (optional). Mint loves moist soil, remember moist soil not overly wet. You should be careful (especially in winter) with watering and don’t soak the plant both in the morning and evening to pamper it. Just keep the plant well watered and slightly moist. Both underwatering and overwatering should be avoided. Herbs growing indoors or anywhere shouldn’t be fertilized heavily, or else they lose flavor. Feeding the mint plant occasionally using water-soluble all-purpose fertilizer should be enough. You can also mulch the top layer of the pot with compost or manure. Pinch off the tips regularly to encourage the plant to grow more branches and become bushier. Prune off the lanky, spindly and dried branches regularly to keep the plant in shape. Mint loves moderate temperature, it should be saved from cold drafts. If you live in a warm tropical climate keep it away from hot and dry air, also, you’ll need to water the plant regularly. The indoor temperature should be around at least 65-70 F (18-21 C) in the day and 55-60 F (13-15 C) in the night. I have a grow tent in the kitchen that I use for herbs and some veggies like lettuce. I grow mint, basil, oregano, thyme, dill, and others. I leave the light on about 14 hours a day and get really great growth and almost no blooms.